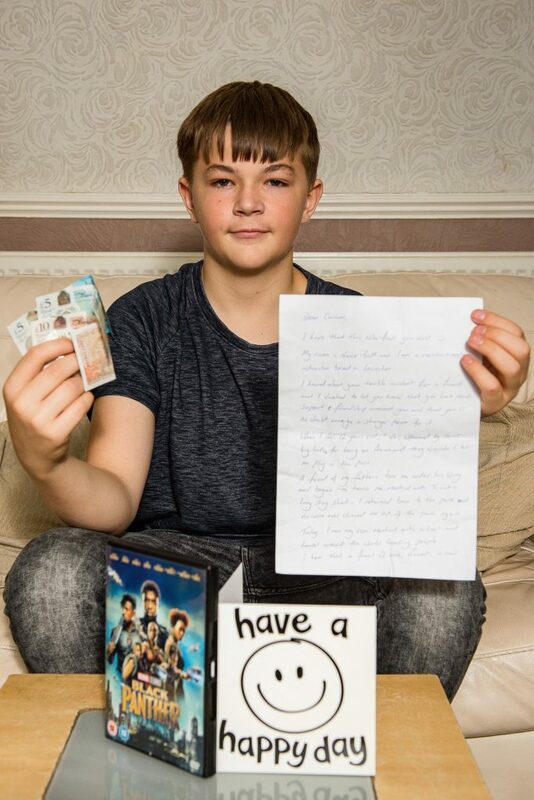 A schoolboy too terrified to leave the house alone after teens filmed themselves carrying out a happy slap Snapchat attack on him has received cards and gifts from kind strangers. In footage from earlier this year, a hooded male can be seen jumping out of a car before repeatedly kicking and punching Callum Patterson, 14, until he falls to the floor crying. In the video, shared on Snapchat, the group then drive away yelling offensive obscenities at Callum, from Oldham, Manchester, who remains lying on the road. Since the attack in April this year, Callum’s mum Wendy Jones, 57, claims her son no longer feels safe outside without her or his father. 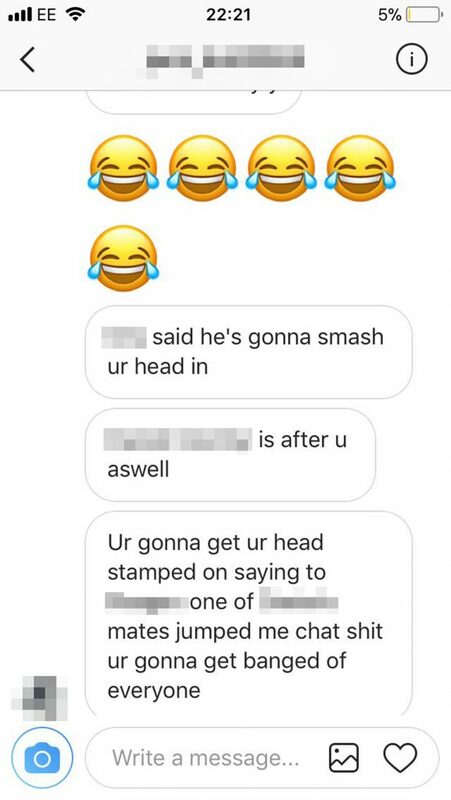 She claims her son has also since been bombarded with threats to ‘stamp’ and ‘smash’ his head and break his nose and sent other menacing messages. 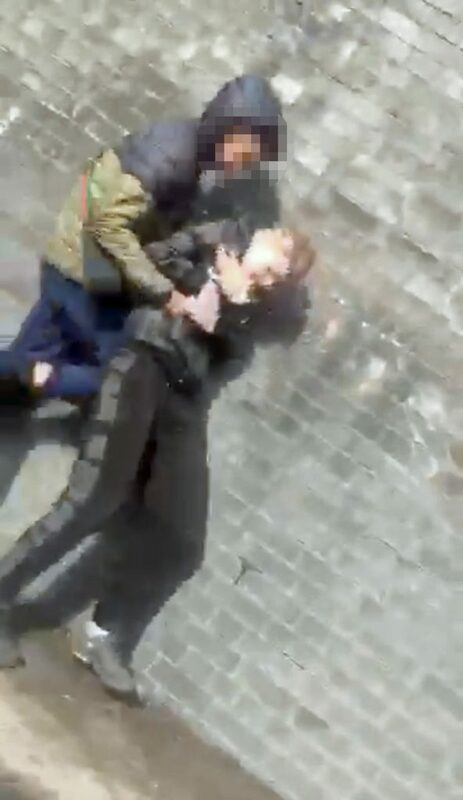 Since the video of Callum being attacked was shared online, a campaign has been launched by the Celebrate Life Guild for strangers to send the teenger encouraging messages – and so far, he has received money, a DVD and free one-to-one martial arts lessons. Wendy, who works in sales, said: “The initial random attack was shocking, it broke my heart when I saw it, they think they are clever doing things like that. “I have been getting more and more angry since then, I took it to the police who said they had a word with the attacker and, he cried and that he didn’t know why he did it. “But I believed it was just crocodile tears, there were four of them in the car, they filmed Callum being battered. “I had to take him out of take him out of the school he was at because I didn’t think they could guarantee his safety. “I even had some of the lads coming past my place of work saying that he’s going to ‘get stamped’. “Recently a big group of them yelled ‘Hello Callum’s mum’ – they know where I work and that I’m an easy target as it’s an open-fronted shop. 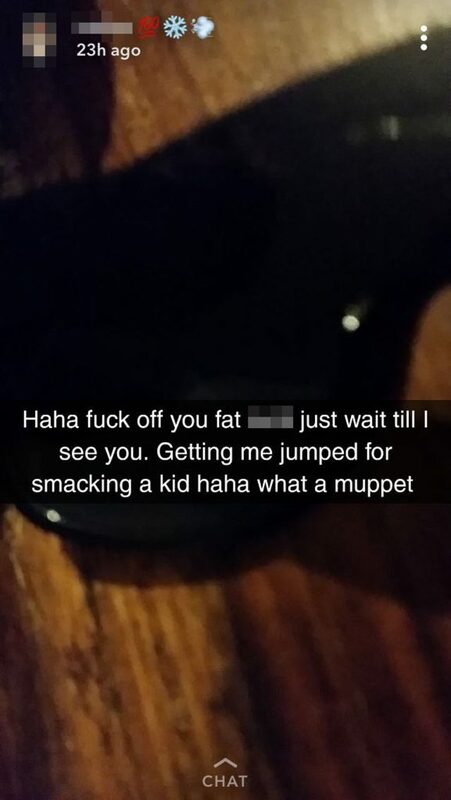 A month after the attack Callum, was sent a copy of the filmed assault that was released on Snapchat. Since then, Wendy said the combined threats and the impact of the video have left him scared to go outside alone. Even while out with his parents he feels unsafe, forcing them all to travel up to 40 minutes away just to go food or clothes shopping. 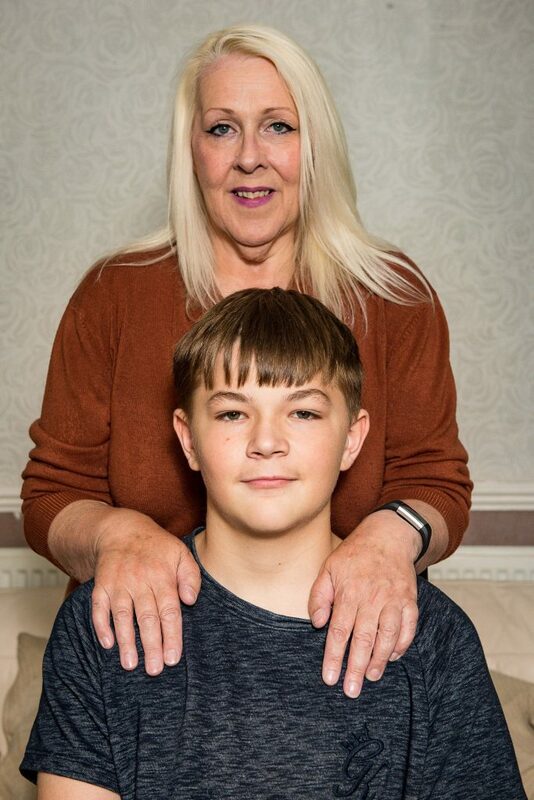 Wendy now has such fears for her son’s safety she hopes to move away from the area and is even offering to swap her three-bed detached property for a two-bed flat. She said: “The attacker was somebody Callum didn’t even know, but since then there have been loads of other lads after my son. “Since the attack he has spent a long time indoors not leaving the house unless me or his dad take him. “Callum has said they told him to move out of town otherwise he’s going to get stamped. “Then he gets all of these anonymous phone calls keep ringing him. There are loads and loads of them after him. “Because of what’s happened to my son moving as become more of a pressing issue. After the video was shared, strangers organised through the Celebrate Life Guild have been sending cards and gifts to boost Callum’s confidence. Wendy said: “He received a card last week which was lovely. It said ‘have a nice day’ and the wonderful person sent him £20 too. “There are some really nice human beings left on this earth, it’s really touching. “Helen Jacobs of The Celebrate Life Guild has been wonderful, she spoke to a martial arts professional down south who gave Callum personal one-on-one sessions. Greater Manchester Police say the attack was resolved through restorative justice. Detective Sergeant Andy Day, from GMP’s Oldham CID, said: “Between April and May of this year, we received a number of reports that a 14-year-old boy was being harassed and had malicious communications sent to him by a group of other teenagers. “We launched an investigation into the circumstances surrounding the reports and discovered it followed an altercation that happened in April and we subsequently identified four boys – who were also aged 14 – and spoke to them in connection with the investigation. “This approach was the most appropriate way to respond in line with the force’s priority to deal with those incidents that pose the highest threat, harm and risk, and, we spoke with the 14-year-old boy to explain why we were taking this approach, of which he was fully understanding and supportive. Proud parents show thriving conjoined twins who doctors told to abort!